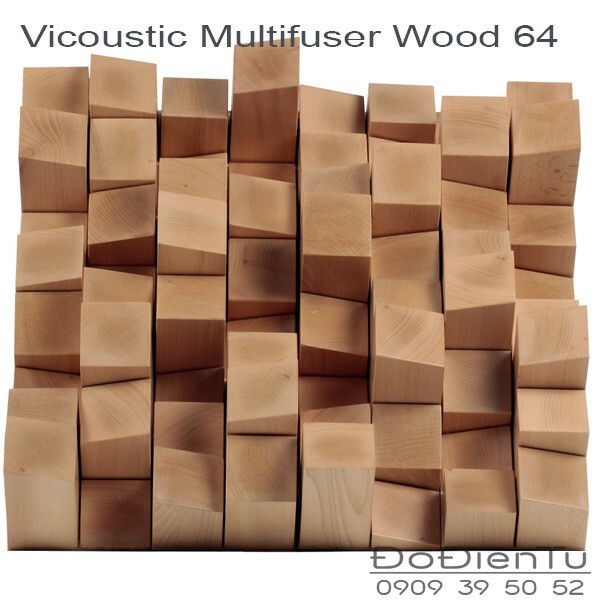 " LH Bình 0909395052 để có giá tốt "
Made from solid wood, the new diffuser is perfect for use in venues such as concert halls, hi-fi rooms and recording studios, where effective diffusion is often required, without too much absorption occurring at the same time. With its striking angled surface, the two-dimensional diffuser is based on a QRD sequence combined with changing reflection techniques (a result of the angled surface). The panel itself is made in two parts. Each part can be rotated in different directions so that a uniform, omni-directional scattering of sound is achieved, with particularly effective diffusion of mid and high frequencies. Multifuser Wood 36 works between 470 Hz and 10 kHz. As well as its acoustic efficiency, the panel's attractive appearance makes it suitable for use in a range of settings. Available in Light Brown, Black and White finishes. Conference Rooms, Classrooms, Auditoriums, Hi-Fi and Home Cinema.